Georgia’s decision to impose a 90-day visa free regime for Russian citizens registered in Russia’s North Caucasus republics is a “provocation” and an act of “propaganda,” Moscow officials said on Tuesday, following Monday’s statement by the Georgian Foreign Ministry. According to President Mikheil Saakashvili’s Decree of October 11, on October 13 residents of the following subjects of the Russian Federation – Chechnya, Ingushetia, North Ossetia, Dagestan, Kabardo-Balkaria, Karachai-Cherkezia and the Adige Republics will be able to enter Georgia without obtaining a visa. The Georgian Foreign Ministry cited “technical barriers” at the Kazbegi-Zemo Larsi border crossing as one reason for the decision. In particular citizens wanting to enter Georgia through Larsi had to get visas in Moscow since no visas were issued at the Larsi border. “Our aim is to ensure that these citizens face no technical obstacles in entering Georgia,” Deputy Foreign Minister of Georgia, Nino Kalandadze said on Monday. “In addition, we are interested in restoring normal relations connecting us with the people of those republics. There are also economic and commercial interests from their side towards Georgia and they often want to study in Georgia’s higher educational institutions,” she noted. 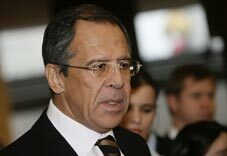 Georgia’s decision is “yet another propaganda move” by Tbilisi, Russian Foreign Minister Sergey Lavrov said on October 12. “The decision was not discussed with Russia. We have not seen any official documents on the issue and only received information through information agencies,” RIA Novosti news agency quoted him as saying. “No negotiations had been conducted with us on this issue. And generally we see this move as a provocation,” Interfax news agency quoted Edelev as saying. Meanwhile, some Georgian politicians and experts have expressed concerns that a visa free regime for residents of the North Caucasus republics may cause security problems in Georgia. The parliamentary opposition has demanded an extended session of the National Security Council. Speaking at Tuesday’s plenary session in the Georgian Parliament, opposition MP from the Christian-Democratic Movement, Levan Vepkhvadze suggested that the decision might cause some problems in Kazbegi region. “The Dariali Organisation operates in Vladikavkaz and its aim is to enter Georgia and seize control of Kazbegi. If the North Caucasus residents will be able to enter Kazbegi region without visas, they will enter Truso Gorge and start a step-by-step annexation of Kazbegi,” he noted. Analyst in Caucasus issues, Mamuka Areshidze also expressed concern over the Truso Gorge issue, saying that the consequences of President’s decision are hard to predict. “We remember very well the actions of the Truso Gorge Ossetian residents and the Dariali organisation, representing their interests. Their dream was to enter Georgia legally. Nobody knows what may happen afterwards,” the analyst noted. Georgian officials have denied the possibility of a step-by-step annexation of Kazbegi. “The Georgian police have no problem controlling Truso Gorge,” head of Tbilisi Patrol Police, Giorgi Gegechkori said. “Our police work effectively enough to control such places,” he noted. Ruling Party MP, Nugzar Tsiklauri meanwhile, accused the opposition MPs of having pseudo-patriotic attitudes. “I would suggest that they think twice before making such pseudo patriotic statements. Georgia will restore its role of a regional leader and never turn its back on the Caucasian people,” Tsiklauri said. The Georgian President’s administration also reiterated that the simplification of the visa regime for North Caucasus residents will not create problems in terms of security. Speaking at Tuesday’s regular press briefing, the President’s press spokesperson, Manana Manjgaladze said that the security at the border crossing checkpoint is controlled by other means and the visa regime has “nothing to do with it.” According to Manjgaladze, introducing a visa free regime is the first step towards the idea of a united Caucasus. “Some days ago, the President talked about the united Caucasus idea at the UN General Assembly session. The simplified visa regime is directly linked with this issue,” she stated. “As for security issues, I would like to state that it is controlled by other methods and not by visas,” Manjgaladze added. Despite Georgian officials’ repeated statements that launching a visa free regime with the North Caucasus republics is safe, some analysts keep saying that there are “more risks than benefits.” Analyst in military issues, Irakli Sesiashvili suggested that establishing a visa free regime could endanger the Georgian population living near the state border and damage Georgia’s reputation in the international arena. “First of all I do not understand what the pragmatic reasons of this move are. In addition to other dangers, this decision could cause hysteria in Russia, which later is usually reflected on us,” Sesiashvili told The Messenger. “Although Georgian officials are saying that the visa free regime is only for the states fighting for independence from Russia, however we know that some of those freedom fighters are listed as terrorists. So considering this, we may spoil our reputation as well,” he added.